I’m really into the world of Warhammer (mostly Warhammer 40K, but that’s irrelevant), but to be honest, I’ve never once played the original, tabletop game. I’ve never played a single tabletop game, period, outside of card games and old school board games like Risk or Sorry! Depending on which part of the geek culture you ask, I’m either the worst or I’m one of the cool kids. Regardless, playing a physical tabletop campaign like Warhammer or Dungeons ‘n’ Dragons takes a certain mindset you won’t find in traditional RPG experiences, even those that are tactical turn-based. I may not have played a tabletop game myself, but I’ve seen enough to know how detailed every single movement and decision is in a tabletop RPG. Rogue Factor’s Mordheim: City of the Damned (MCOTD) is the closest thing you will get to a tabletop experience in the Warhammer universe. The only thing that’s missing is actually rolling a D20. I forgot how xenophobic everyone is in the Warhammer universe, so there are no cross-class party options. You pick one of four classes (others are available in the DLC) and then build up your warband from there. You’re given a set amount of gold and one Leader. You will have to hire a Hero and henchmen. You can keep one Leader and one Hero in reserve, but you can keep multiple reserve henchmen. You can spend gold on equipment too, but it’s best to wait until your party actually starts earning money. After each mission, whether you’re successful or not, each participant will expect to be paid a wage as well as their healthcare expenses. It’s best to pay them what they ask instead of firing them and hiring new suckers, because with each mission, they will gain experience and be tougher for future, far more difficulty missions. You’ll have to pay more, obviously, but they’ll bring far more profit to your camp than the lower leveled minions. Your warband has more to do than simply run set missions in the campaign as well. After your first mission, you’ll start receiving requests for shipments of Wyrdstones. Wyrdstones can be mined all over Mordheim, and obtaining them puts your party member at risk for Warp exposure. Too much Warp, they can turn to Chaos and will have to be put down. But the rewards for fulfilling a shipment of Wyrdstones is too high to avoid the risk. And really, you can (technically) hire another minion to take the fallen warrior’s place. Mordheim is called the City of the Damned, after all, so all adventurers should be well aware of how much risk is involved. With the constant juggling between missions, shipments, and keeping the warband satisfied, the Warcamp is almost a separate game in of itself. If you’re a tabletop veteran, then you’re used to campaign missions taking a good amount of time. MCOTD missions don’t take up that amount of time, but expect to devote an hour to two hours to the early missions. Only half of that time is needed because the gameplay has a difficult and steep learning curve. Your warband will be dropped into Mordheim to scavenge the city for Wyrdstones and other useful items and to take out the opposing band who hopes to do the same. Similar to Battleship, you won’t have a clue where they are, and they won’t be marked on the top-down view of the city map. Over time, as you watch Wyrdstones and scavenge spots empty on the map, you’ll get clues as to where they are and can attempt to plan accordingly. Movement and combat all relies upon the number of Strategy Points (SP) and Offence Points (OP) each character possess. Moving outside of a set blue circle takes up one SP. Certain combat actions require 1-2 OP, and some, like reloading a ranged weapon, require both SP and OP. If you jump down or climb up, even more SP is needed. In addition to requiring more SP, the game will also require an agility check for doing either. Depending on how the odds roll, you could land a jump perfectly or fall and hurt yourself. Changing a stance in between commands also consumes OP. I got into the habit to setting my stance to Ambush while simply exploring so I couldn’t be taken by surprise as easily by an enemy. While in combat, depending on what my character was wielding, I would switch between Dodge and Parry stances. At first, all of this to keep track of is unbelievably overwhelming. If you aren’t a seasoned tabletop gamer, chances are you will fail your first mission at least two times, if not three. But once it all clicks, setting where to move, the stances, and checking the strategy map view becomes second nature and instinctive. It’s then that you can finally spend most of your time pondering the best strategy for the particular warband class you have chosen. The four classes available with the base game include the Sisters of Sigmar, the Skaven (see also Warhammer: The End Times – Vermintide), the Cult of the Possessed, and Mercenaries. Sometimes your warband will go up against these classes and sometimes you will fight other factions. In my gameplay video above, the Sisters of Sigmar were competing against the Jade Sisters. There is an online element as well if you’re willing to test your warband’s mettle against another. These Skirmishes are the best way to really learn the feel of the game in addition to the tutorial, and real live opponents will try you in ways the AI has no capability to do. It was after trying a couple of Skirmishes, even with my extremely low-level party, that I was able to determine the most effective strategies to loot the city and rout the opposing forces. The biggest hurdle this game has other than the difficulty wall is how much time it requires. This isn’t a pick-up-and-play title, and a significant amount of time will be needed before the player will feel any real accomplishment. With so many other time-sinks already out there in the RPG genre, MCOTD may only find a cult, niche audience willing to devote the hours necessary to fully grasp just how deep the title runs. Know what else takes a cult, niche audience willing to devote several hours to fully delve into an RPG campaign? A Warhammer tabletop RPG. If you’re missing playing Warhammer with a local tabletop group of friends, then Mordheim: City of the Damned will be the next best experience. 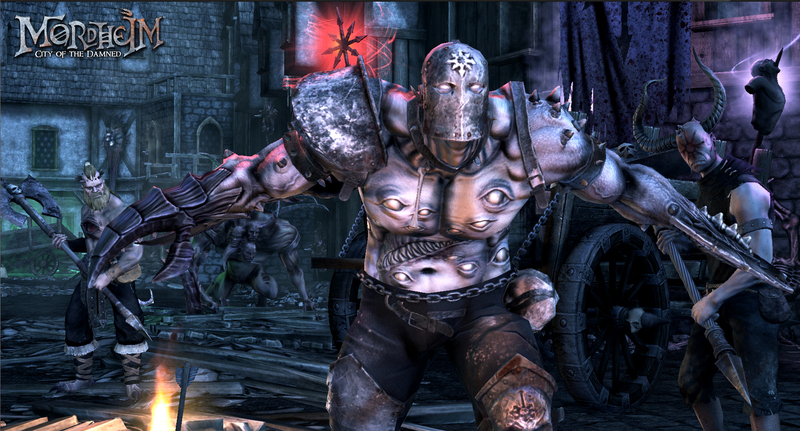 Mordheim: City of the Damned review code provided by publisher. For more information on scoring please see our Review Policy here.